ThreeJars Daily: Cash, Credit, Or Debit? You know to shop around to get the best deals. But did you know that how you pay can save you money, too? Check out this cheat sheet, from Janet Bodnar, a Kiplinger’s Personal Finance editor, to help you decide whether to whip out the plastic or pay with cash to save the most. The reason why: “A credit card gives you the best protection if there’s a problem with your new purchase,” says Bodnar. So if your new computer dies a week after you bought it, it’s much easier to return it and get your refund promptly. And if you run into problems with the retailer, your credit card company will follow-up with them, and you won’t have to pay until the matter is resolved. Credit is also best if you’re traveling. Not only do these cards often provide protections like insurance for car rentals, but if you use your debit card instead, you could run into a temporary overdraft problem without realizing it. That’s because many hotels and car rental companies initially “charge” a higher amount of money than what you’re quoted (for example, they may hold $800 for your hotel room when it may cost only $600) to make sure they’re covered for incidental expenses. 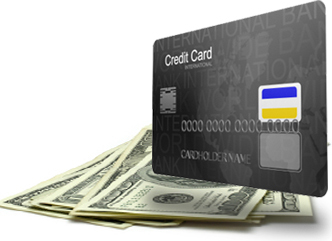 The reason why: Debit cards have the convenience of a credit card, but are the next best thing to paying with cash since the money is taken right out of your bank account. It makes the most sense to use them for weekly or monthly necessities for which you don’t need the added protection of a credit card. A debit card also helps you track purchases and keeps you from overspending because you can’t spend more than your account balance. Plus, many of them offer cash back for purchases. The reason why: Using cash instead of plastic for small everyday purchases and occasional treats will help you curb your spending and stay within budget, because you’ll be more aware of how much you’re spending. Just be sure to designate a specific amount of cash each month for coffee or fun outings like dinner with your family and stick to it.